First, I have to comment on the book cover. If you saw this cover staring back at you from a shelf in a bookstore, there’s no way you could ignore it. It compels you to pick up the book and investigate further and the murky colors set the tone for this supernatural horror novel. Eerie happenings occur from the first page and continue throughout nearly the entire story. The reader knows these characters have returned from beyond the grave for revenge, but the reason and identity of the person who brought them back is a mystery until the latter part of the book. Speaking of the revenge scenes – they aren’t for wimps, so if you’re not a fan of gruesome and gory details, you may want to skip over those parts. But that would ruin the fun, in my opinion. With the exception of James and his daughter, Ruth, there really aren’t a lot of likable characters in this book – which may explain all the revenge killings going on. The author did an admirable job of demonstrating the sometimes difficult relationship between a teenage daughter and her father, but also the strong bond of love James and Ruth share. One thing that seemed a little misleading was the book description in regards to the farming community hiding secrets versus only James’s family but, for me, it didn’t detract from the overall story line. 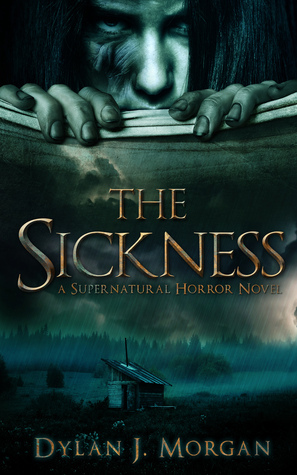 The Sickness serves up a generous helping of suspense and chills, so if you’re still feeling the Halloween spirit and looking for something to make you wonder about that scratching noise against the window or the creak on the staircase – this is your book. This review is based on a digital ARC from the author through Rosie’s Book Reviews in exchange for an honest opinion.